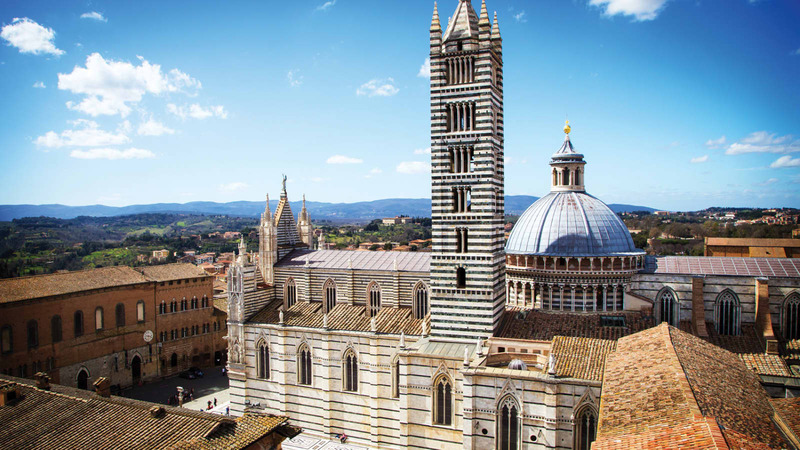 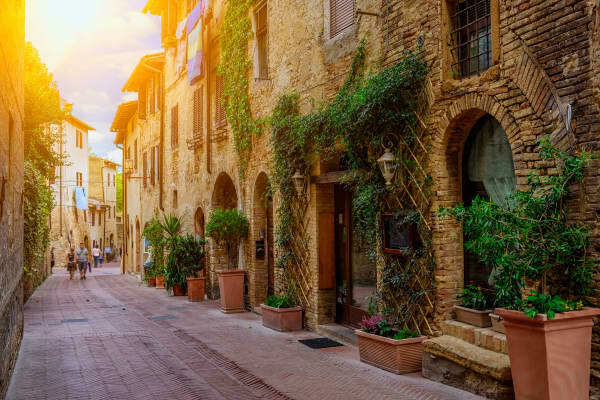 Tuscany is a diverse region, with magnificent, undulating countryside lined with long rows of cypress trees, elegant seaside resorts and historic cities such as Florence, Siena, Pisa and Lucca - so much to explore! 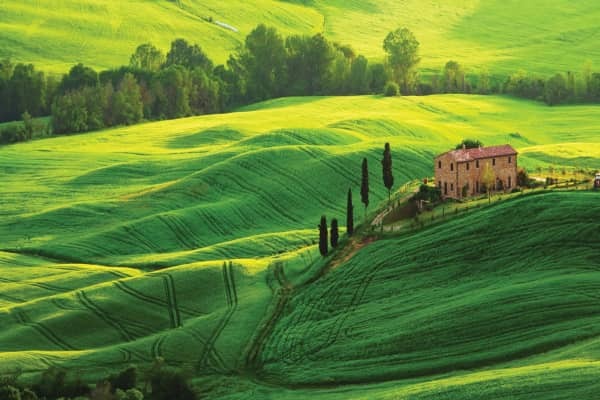 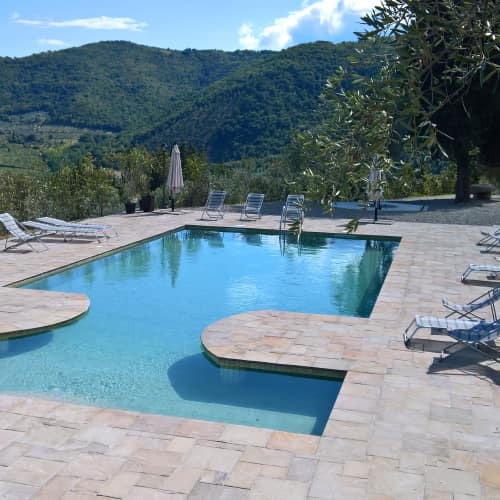 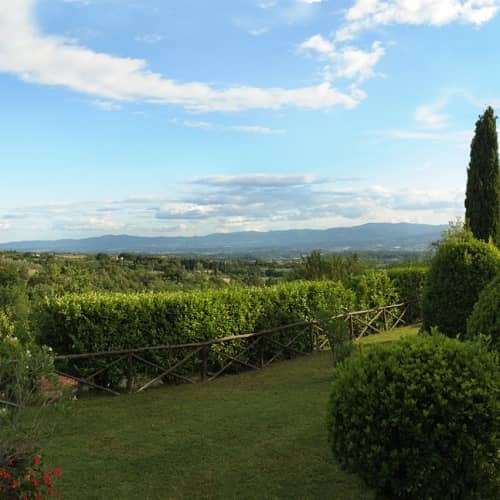 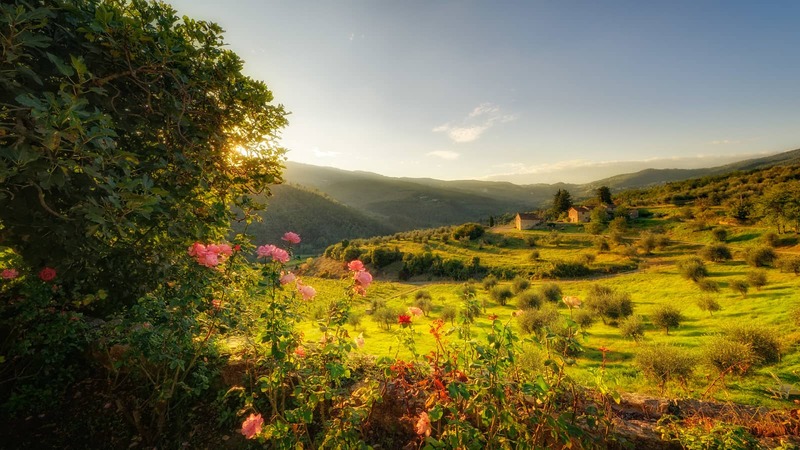 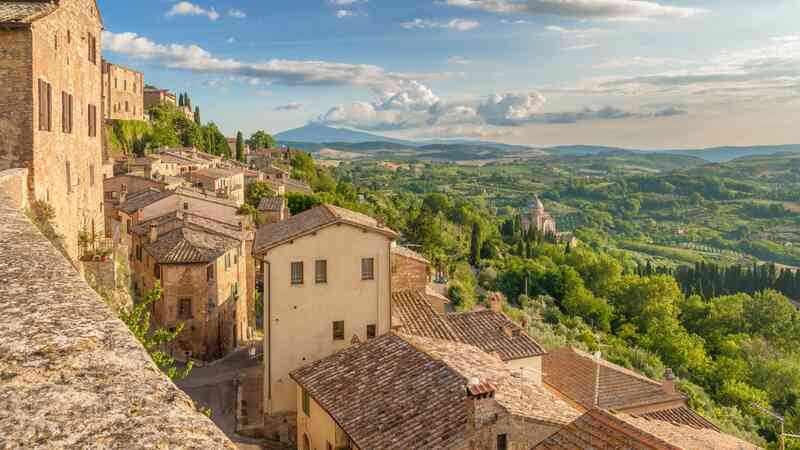 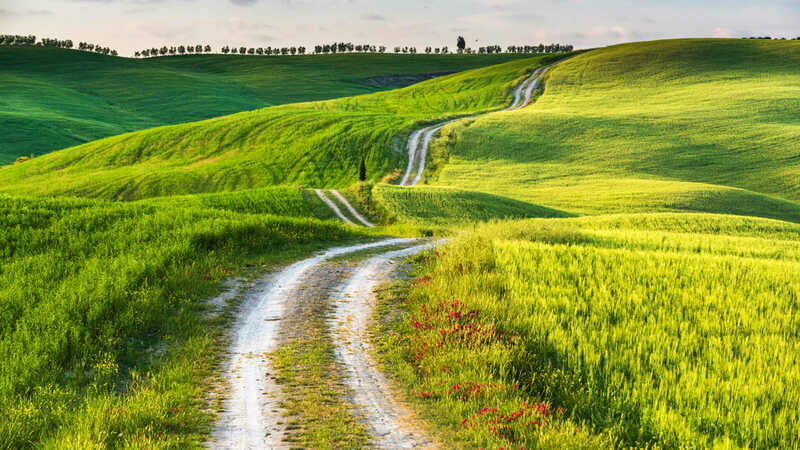 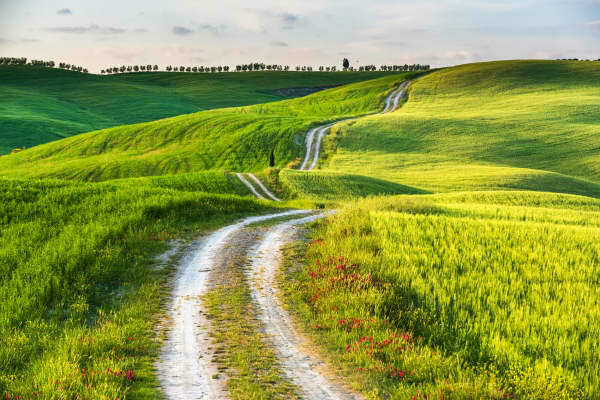 The countryside of Tuscany is a feast for the senses, with stunning hilltop villages, vast vineyards and misty olive groves providing a sort of beautiful quilt of lush rolling landscape beneath a clear blue sky. 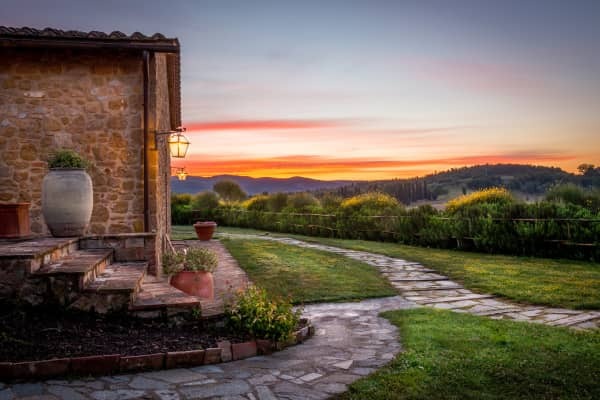 It is often said that the word ‘idyllic’ is overused by travel writers, but when it comes to the Tuscan countryside, no other word will do. 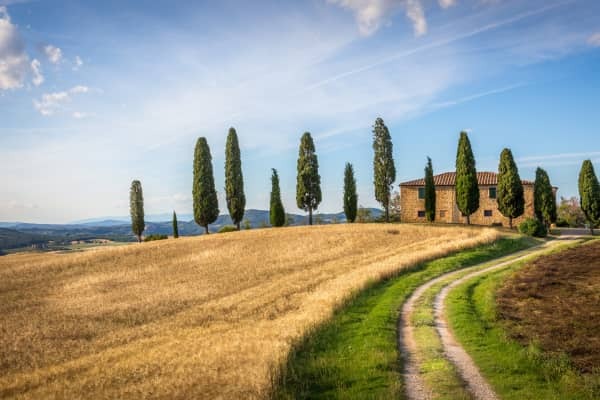 Many come to the Tuscan countryside in search of awe-inspiring landscapes, delicious cuisine and beautiful wines - and they never leave disappointed. 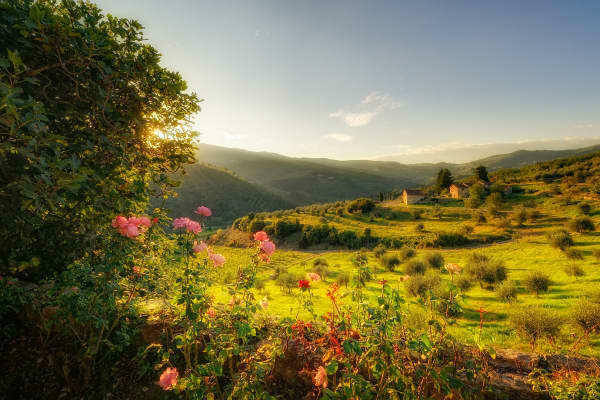 The Tuscan countryside is filled with romance. 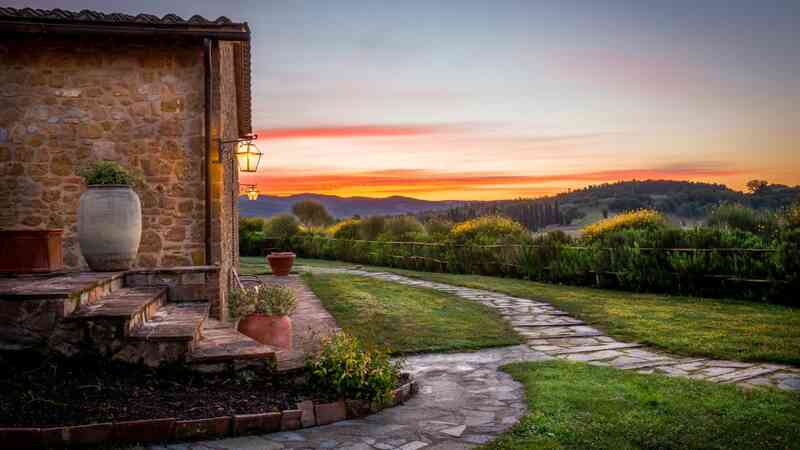 Historic residences, country villas and renovated castles make the perfect base for your Tuscan holiday. 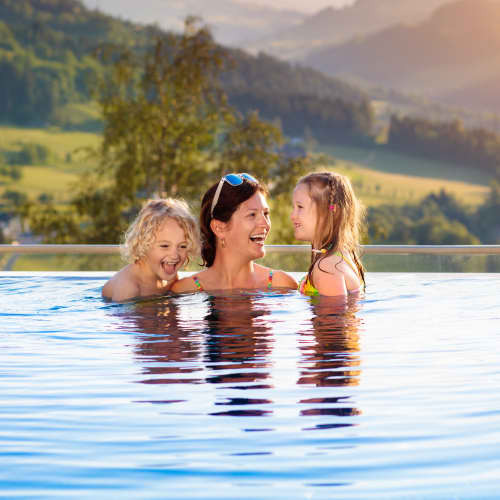 Topflight's Stay & Explore package allows you to explore all that this extraordinary region has to offer. 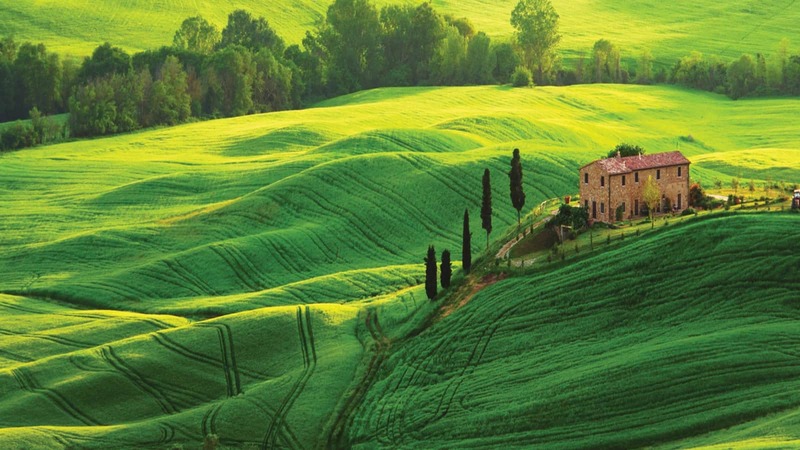 Let us take you on the Tuscan holiday of your dreams! 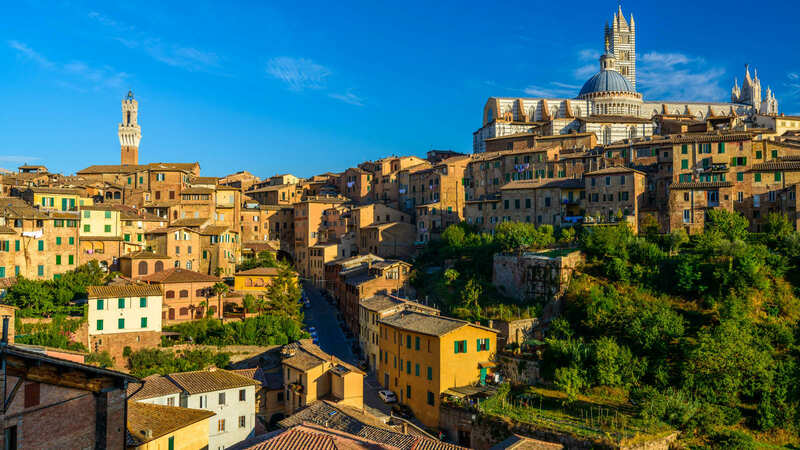 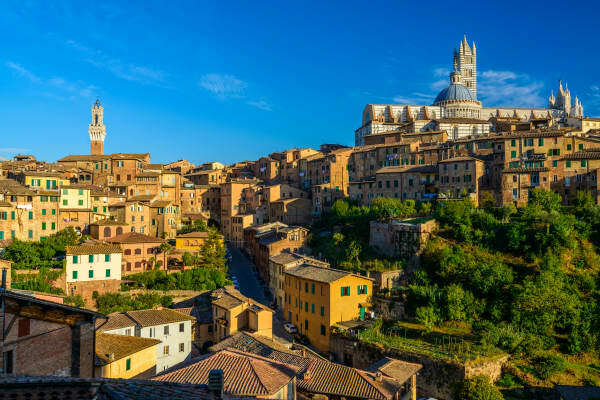 Siena is a magnificent, romantic Italian city rich in art, history and culture. 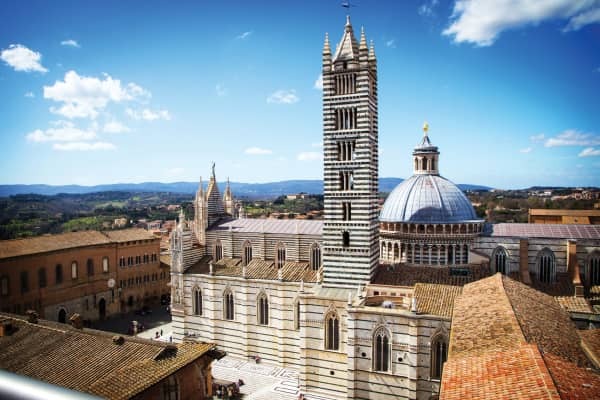 At the heart of Siena, one of the great medieval cities of Europe, is its central piazza known as Il Campo, where the famous Palio horse race is held in July and August. 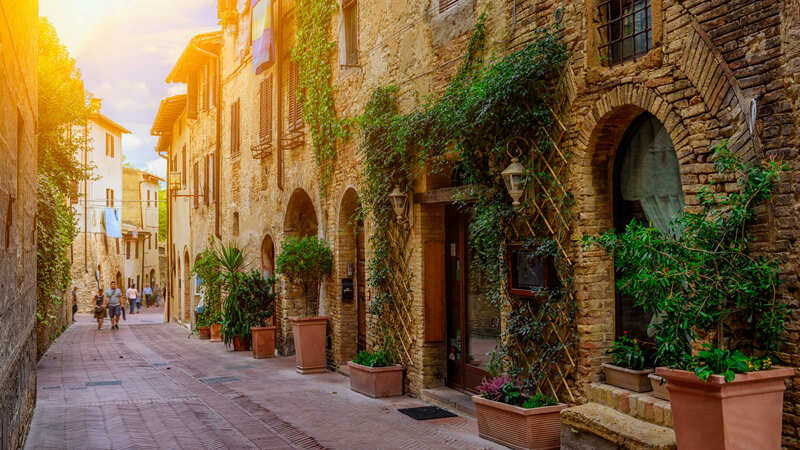 The town is bursting with beautiful buildings, amazing art and restaurants serving culinary delights. 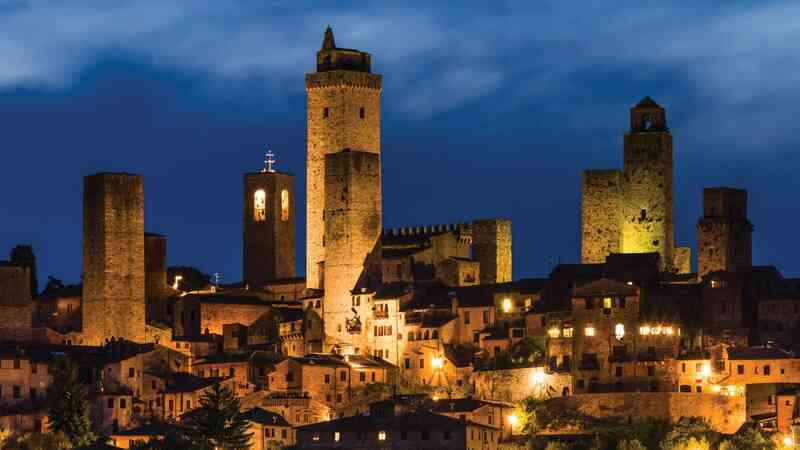 Pistoia includes the town of Vinci where Leonardo was born, the spa town of Montecatini Terme and Collodi village with its open-air Pinocchio Park. 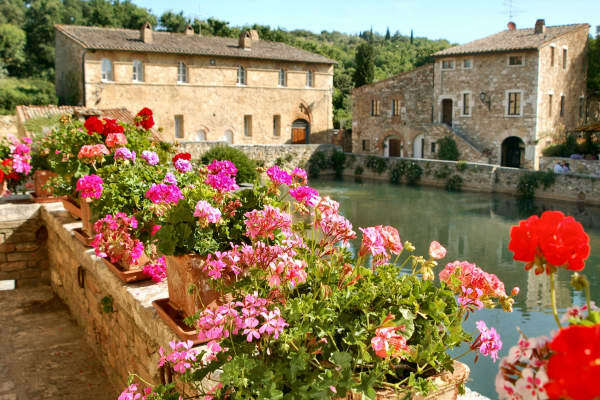 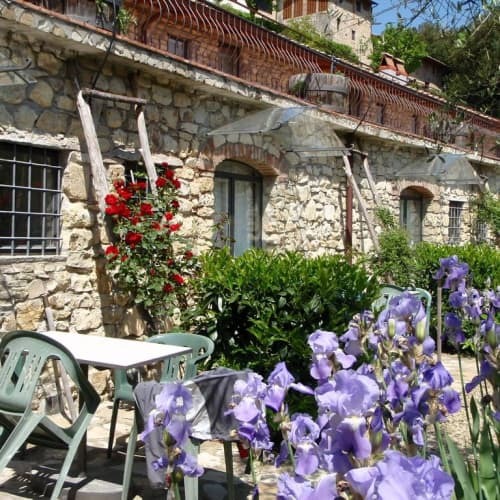 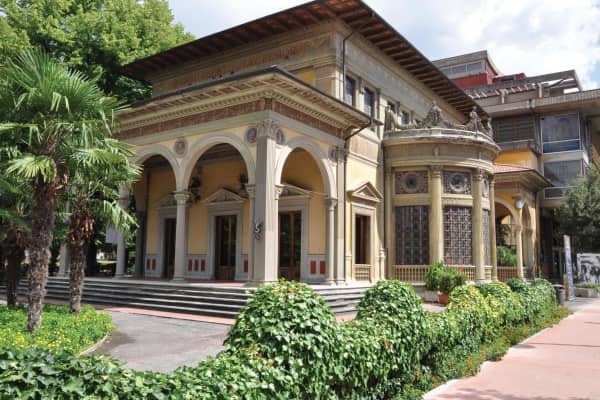 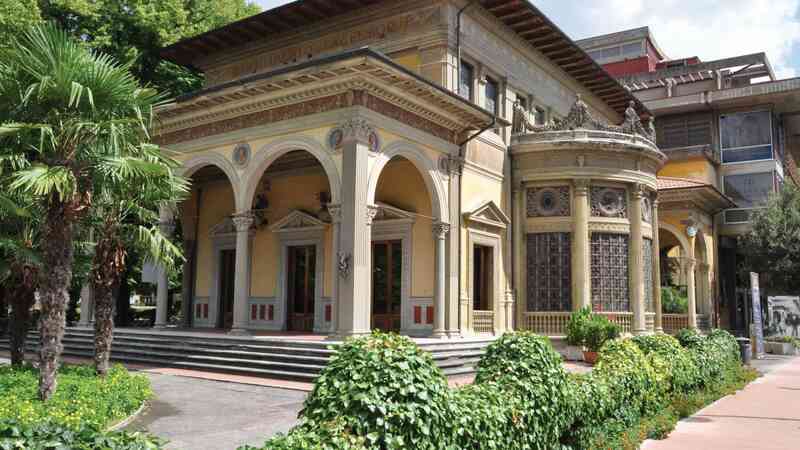 A charming spa resort, the town is dominated by the enchanting "Montecatini Alto." 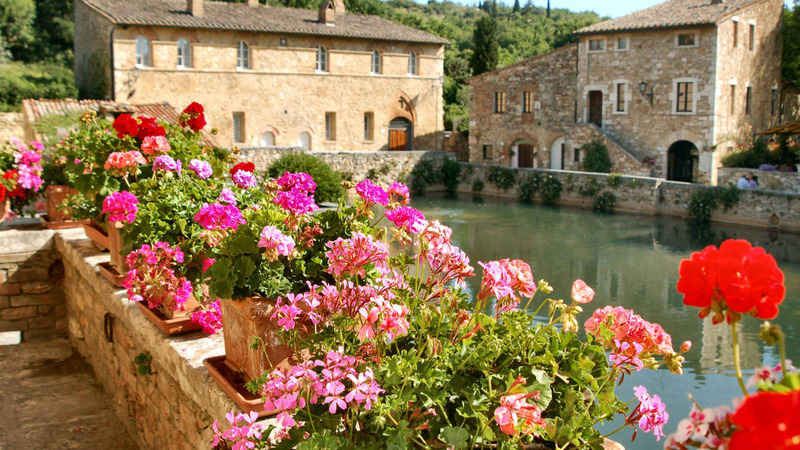 Rignano sull'Arno is a picturesque tiny village on the Arno shores, deep in the Florentine countryside. 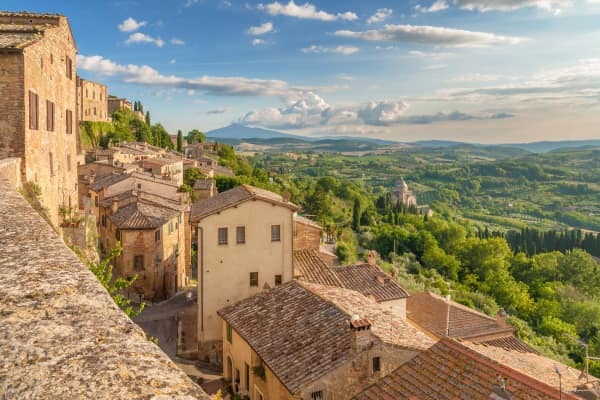 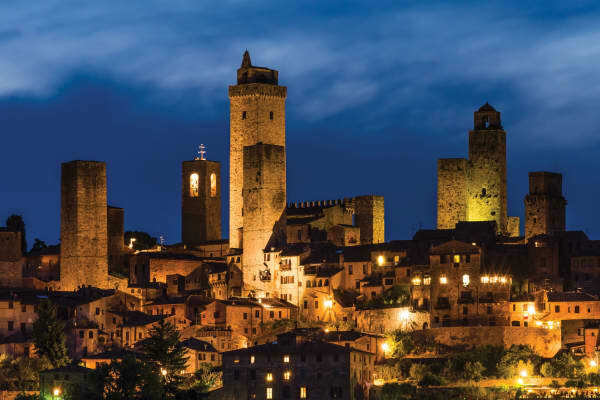 The medieval town of Figline Valdarno lies in a beautiful Tuscan valley, and is the perfect starting point to discover Tuscany. 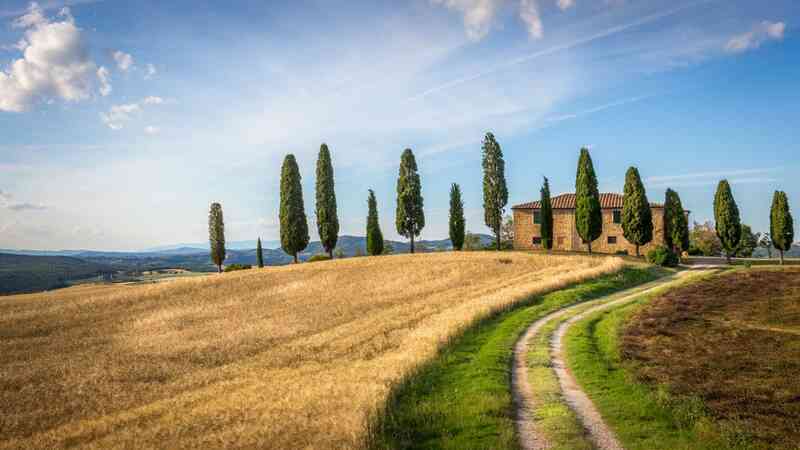 Your package holiday includes Hertz® car hire so you can explore the exquisite Tuscan countryside.